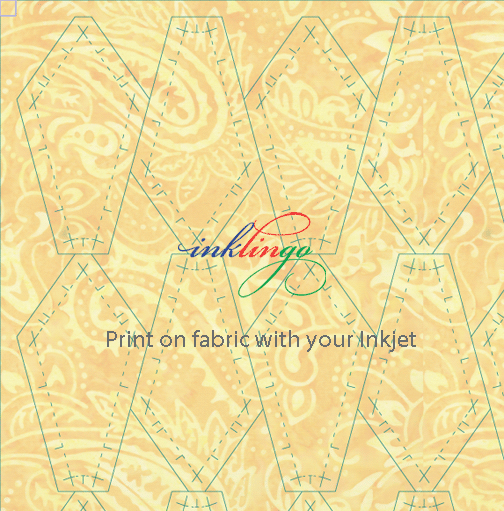 This Inklingo PDF includes the shapes 6 different blades, 2 circles, the triangles and the background. This collection is amazing. It is only "basic" when compared to the "fancy" version for Farmer's Fancy and its variations. 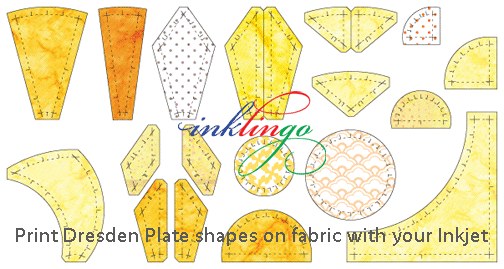 This shape collection is designed for quilters who prefer to piece as much as possible, so the only appliqué is the circle in the middle (choice of sizes). It includes a stunning variety of blades, including a curved blade. You can even mix two or three blade shapes in each plate. 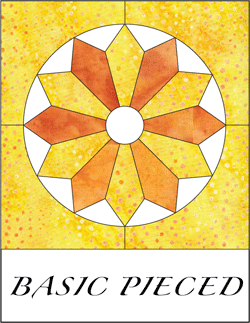 Since the plates are pieced to curved background pieces, the plate is centered perfectly every time. All of the methods are illustrated in the design book (74 pages). It is free with this shape collection, so be sure to order it too. "A few" possible 9 inch blocks! The backgrounds and blades in this collection can be combined in many ways to make distinctive variations of Dresden Plate, Wheel, and Fan designs. Now think about all the ways you can use a quarter or half Dresden Plate in fans and other layouts. . . Oh, my! And this is BASIC? 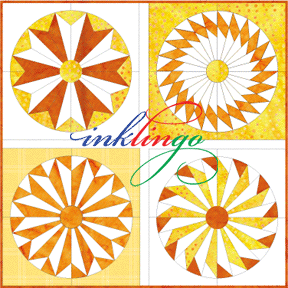 Why quilters love Inklingo for Dresden Plate and Fan quilts.